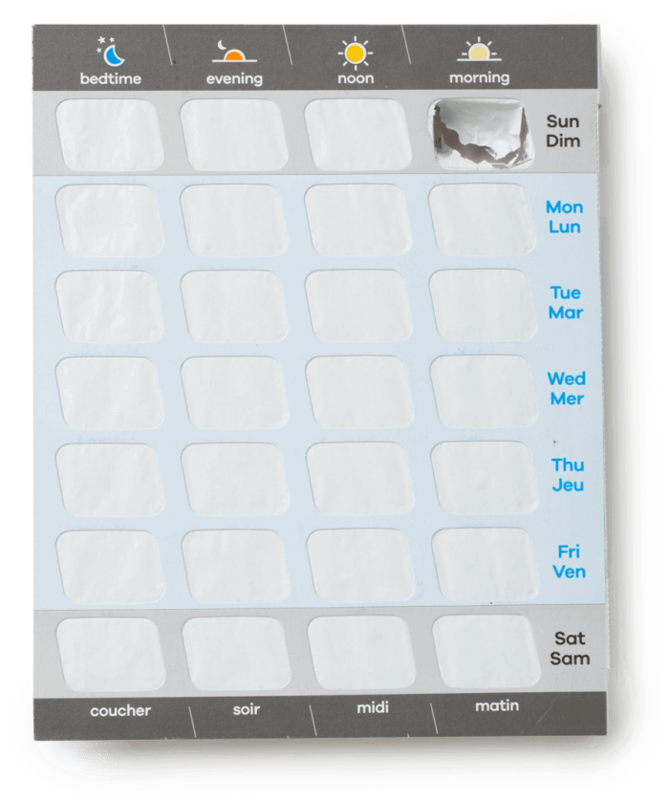 Our premium and fastest growing Pill Pak offering, the “Volume Plus” card, offers one of the largest blisters in the marketplace. 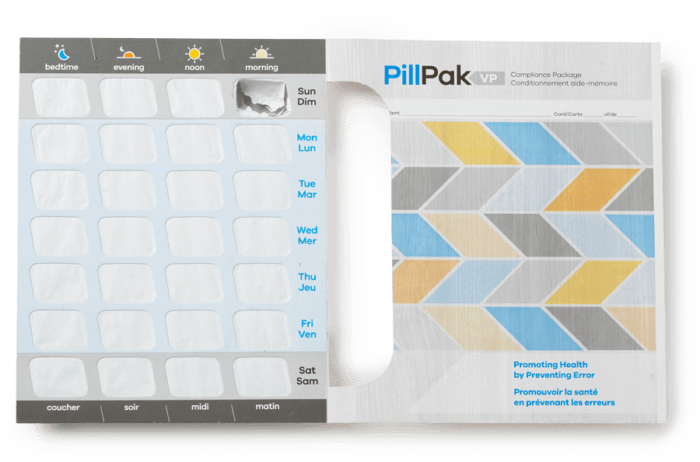 These huge blisters allow the pharmacist to package supplements, larger multivitamins or fish oil capsules alongside the patient’s medications with ease. In addition, to make it easier for the elderly patients to “pop” out their medications, Manrex has designed in an “Easy Access” opening in the cover for the patient’s hand to slide through. This allows for their thumb to reach the inner row of blisters on the large format card, which is hard to do on many competitors’ cards. 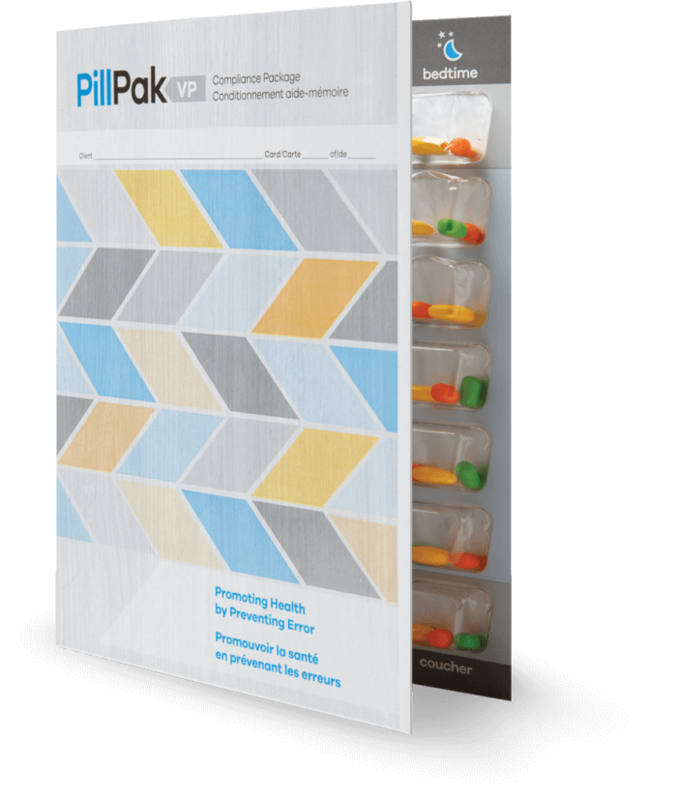 Pill Pak VP, is available only in “Cold Seal” but in two formats of 28 dose and 14 dose to meet your patients’ dosing time needs. 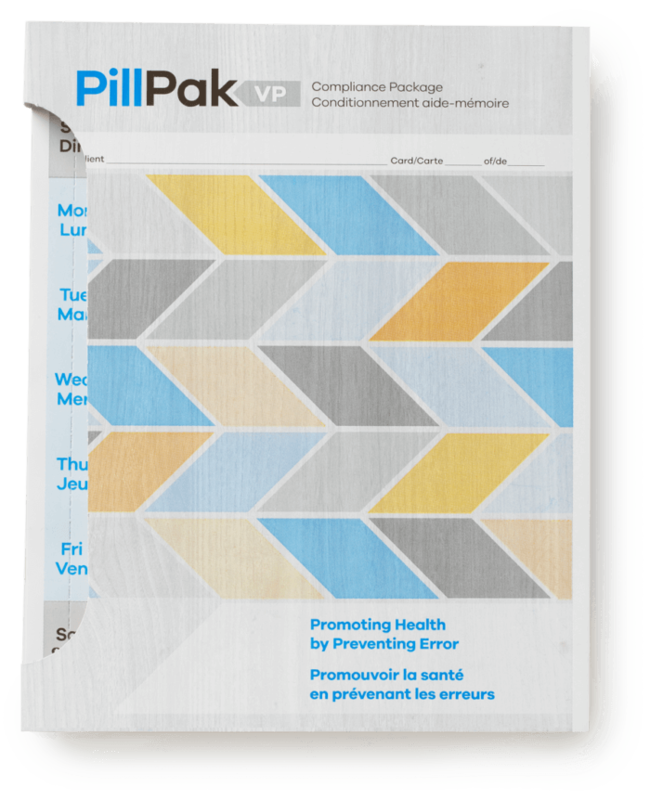 If you want to offer the best to your clients using Blister Packaging, the Pill Pak VP will impress them with its style, ease of use and ability to hold all of their medication doses in one bubble.